Breath: Sit quietly and focus on your breath. In for 3 seconds, out for 3 seconds. Once your mind wanders, (and it will), notice your thoughts, don’t fight them. Go back to breathing, you can think of your breath like waves, in and out. Breath until you feel relaxed and calm, in your own body rather than a million other places. If you are able to find the source of peace within you, picture it as light expanding from your heart out, allow it to expand. Visualize it reaching others, the animals, plants, eventually encircling the world. Mantra: When we select a word or series of words to repeat, we are giving our mind a single thought and allowing its meaning to seep below the surface, into our subconscious. This helps to shift our negative habits and patterns into positive ones. One very powerful mantra is: I AM. There is belief that using a statement with ancient origin brings more power to the words, energy and vibration are never lost. Slowly say the words, feel it coming from your heart, rather than in your head. As thoughts come up, release them. Anger for not focusing is not the point, learning to hear your thoughts is the start of a practice. Mantra such as I am or So-Hum(Sanskrit sound of your breath), ground you in being, they are the beginning of finding the infinite possibilities that exist within you. Mala Bead Meditation has been used as a powerful tool for centuries to calm, regroup, heal and spiritually. 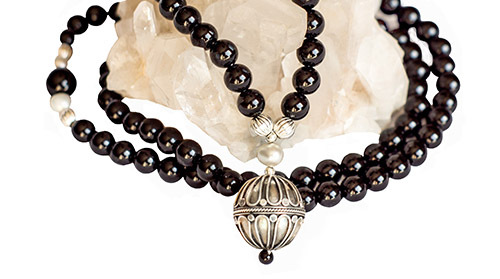 Each bead is touched or held as you recite a mantra or your intentions. A traditional mala has 108 beads with a ‘guru bead’. Having something to do helps to keep focus, and also gives you a point to return to when you are suddenly thinking about dinner rather than feeling your inner self. Mala’s are also traditionally made from wood or gem stones, giving them the added energy of the material and intentions used to create them. Flying carpet: This is a meditation to help find our purpose and dreams. Breath and relax, for a few minutes. Close your eyes and climb on a carpet, let yourself rise on it. Where does it take you? You are able to go anywhere in the universe. What color is the place you pick, what is going on there, are there others or are you alone. What are you doing, how do you look? You can visit many places or just one. Reasons to play with this. First to relax and realize what your dreams really are. Not what you have been told, but what the life within you is made of. Secondly to see all that is possible, our imagination could not make something up that was not possible, we can only think from what we know. Lastly, once you can see yourself doing what your dream of, and hold this vision in current time, you are beginning to learn how to consciously create and can form intentions based on your vision. White board: Sit and breath slowly once or twice. Let a vision of a white board be planted within your brain. Breath and as thoughts come see them written on the board. You hold the eraser, and your only job, slowly, and with purpose erase them. Just see them starting to be written and then erased. You will notice your mind slowing down and you will have less to erase. Your mind finally says, “okay, I get it”. This type of meditation is making your ego more of a servant rather than your master. Intentions: Also called Sutras. Intentions come from deep desires. They are below the physical, material world. For instance, a truer intention to “I want to be rich” might be, I AM FREE or I AM SAFE. When you are repeating an intention from you heart, often your imagination will kick in showing you your intention in your world. That is the magic, imagine it. We truly are creators, and meditation with intentions, such as I AM LOVE, will bring you glimpses of what is truly possible. Gap meditation: Relax and ask your- self this question? “Where are my thoughts coming from?” Any profound question will do, but this one messes with your mind and ego. At the end of any question is the gap, the place of silence before your thoughts kick in. It is there, a moment of peace and calm. Practice expanding it to two seconds, five, and so on. If you experience the gap you can repeat the question, “Where are my thoughts coming from?” Let yourself be shown. Relax! Many answers exist that we do not get from the outside. They can only be seen from within. It is the questions, not the answers, that expand our sense of possibilities. Writing meditation: Pick a word, or phrase and write it. Use a pen you like the flow of, watch you hand, see the beauty of your hand and mind working together, breath and write the same thing over and over. Focus on slow and purposeful letters that form the word(s). You will feel emotions rise, thoughts, let them go. You are creating beauty, purpose, most importantly be aware, you are the one creating! Feeling yourself at the center grounded in creating anything is powerful stuff. This awareness can lead to a quantum leap in the way in which you see yourself. This list is not meant to be inclusive of all types of mediations, there are guided meditations, meditations to sound, and meditations with specific purposes in mind… You can also combine mediations, there are no rules, just you and your awareness of what works for you. A journey within to an inner realm that is vast & infinite as the material world we know. This entry was posted in Awareness and tagged Mala Beads, Prayer Beads.